The weather is finally starting to feel more like Spring & our days are becoming a little warmer! Time for a few new Spring Portraits to bring some new life to those walls! Limited time offer, so booking soon will guarantee you a spot. 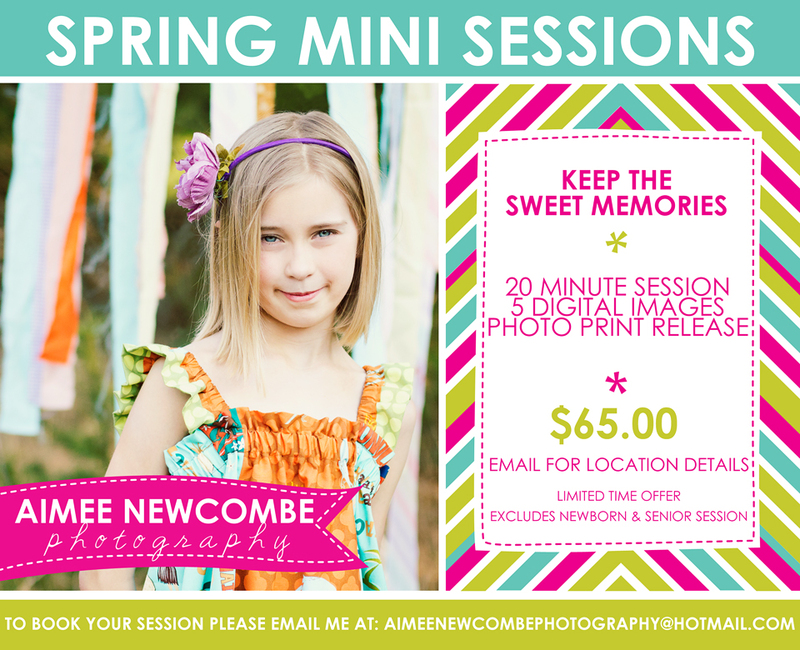 Email me at: aimeenewcombephotography@hotmail.com for details! Session locations will be determined per booking. You will receive 5 digital images via a digital download, Full Print Release, and a Facebook timeline cover. Full Session fee is due at time of booking!